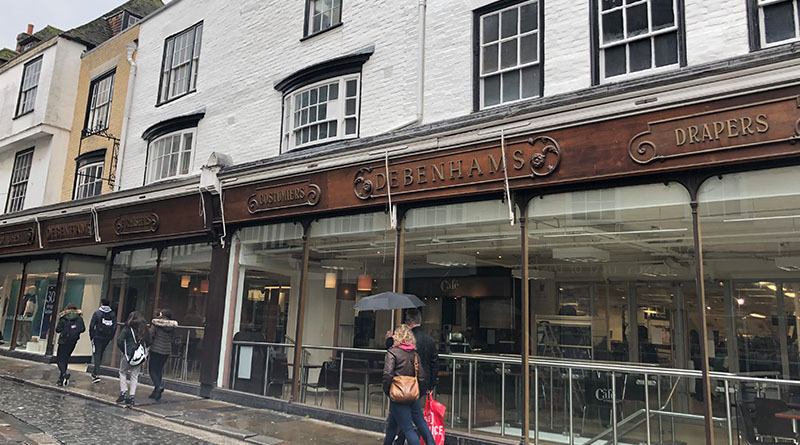 High street giant, Debenhams, has entered administration this morning after rejecting Sports Direct boss Mike Ashley’s pre-emptive £150 million cash-injection rescue deal. The mass company has stores up and down the country, with six of them being located in the Kent area in Chatam, Ashford, Canterbury, Gravesend, Folkestone and Westwood Cross. Under the Sports Direct CEO’s plan, the company would have raised the amount to £200 million, by issuing new shares in the company. Shares in the company were temporarily suspended this morning before trading began as shareholders waited to see what the outcome would be. Despite putting thousands of employee’s at risk of being made redundant. 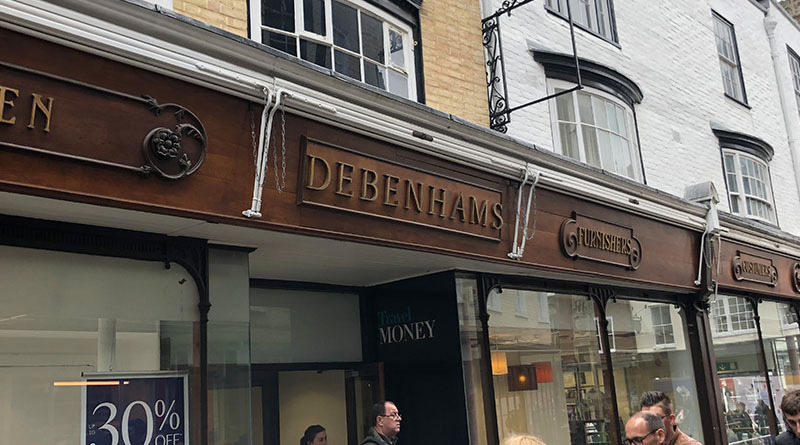 A Debenhams spokesperson told The Sun that should the company go into administration, the company has a pre-packaged deal, which would mean jobs wouldn’t be lost immediately. The company also confirmed that it would be unlikely that store closures would not be likely to happen until the beginning of next year. As part of the pre-packed administration, the company’s debt would be reduced. The future of the brand will now lie in the hands of its creditors, which includes Mr. Ashley who owns a 29% stake in the firm, believed to have cost him some £150 million. If things do go this way then it is likely that there will be a store-closure programme implemented. 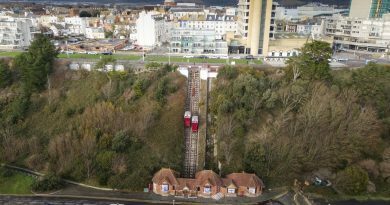 No details have been given as to which branches would be at risk of closing, although up to 50 locations (6 of which are across Kent) are expected to be affected, with negotiations opened with landlords over existing rent terms. Debenhams says it anticipates making a further announcement during the day “following further discussions with its lenders”.